India's leading gold loan company, Muthoot Finance Ltd has recorded a fall of 6.4 per cent during the quarter from January to March, 2013 compared to the same quarter of the previous year. The company said that its net profit fell to Rs. 220 crore for the quarter mainly due to higher allocations for provisioning. 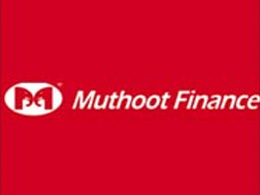 Muthoot Finance also said in a statement that its income from operations recorded an increase of 9 per cent at Rs. 1,411 crore during the quarter from January to March, 2013 compared to the same quarter of the previous year. The data also showed that the company's total provisions and write offs rose Rs 46.39 crore during the quarter from Rs. 4.67 crore recorded in the same quarter of the previous year. The company increased its standard asset provisioning from 0.25 per cent to 0.30 per cent in the quarter. The central bank requires standard asset provisioning of 0.25 per cent. India's leading gold loan companies are increasing facing the risk of loss of business in the current scenario as the gold prices fall to its lowest level in months. The confidence in the gold investment is falling as investors find other avenues for investment and this indicates that the price of gold might fall further in the year. India is the biggest importer of gold in the world and customers buy gold not just as a commodity but also as an investment for the future.